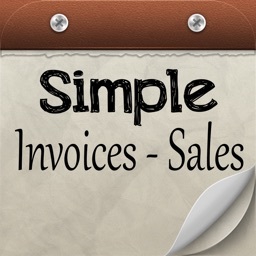 This iPad app is to create Sales Orders on the go. Open up the app, and fill in your company information, tap on “Change Defaults” to start and tap on "Save" when you are finished. This information will be displayed on each sales order. You can change this information later by tapping on the "Change Defaults" button. 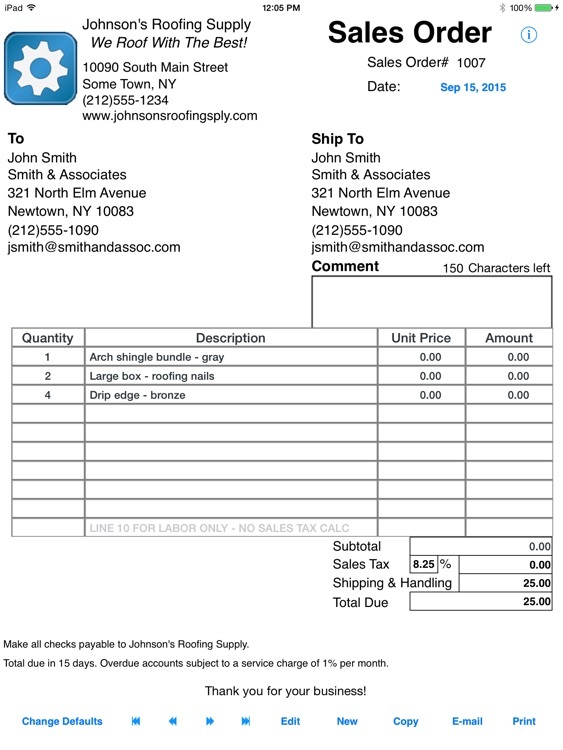 The following fields can be edited: Company Name, Company Slogan, Address 1, Address 2, Phone Number, Fax Number (some users change this to website address or e-mail address), Sales Order Number, Company Policy 1, Company Policy 2, and Sales Tax (some countries prefer other naming instead of “Sales Tax”). Tap on the “Save” button when you are done editing the defaults. Your logo file should be named “logo.png” NOTE: lowercase spelling and PNG format. If you don’t know or you aren’t sure how to change the format of your logo file, you need to contact your graphics designer. 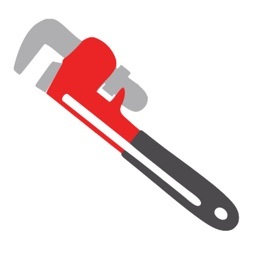 NOTE: YOU CANNOT CHANGE THE FORMAT Y SIMPLY RENAMING THE EXTENSION TO PNG. A logo designed with 100 x 100 pixels works best. You can use the default logo if you like. 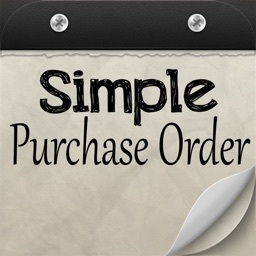 Tap on the "New" sales order button and fill out your customer information, and ship to information. 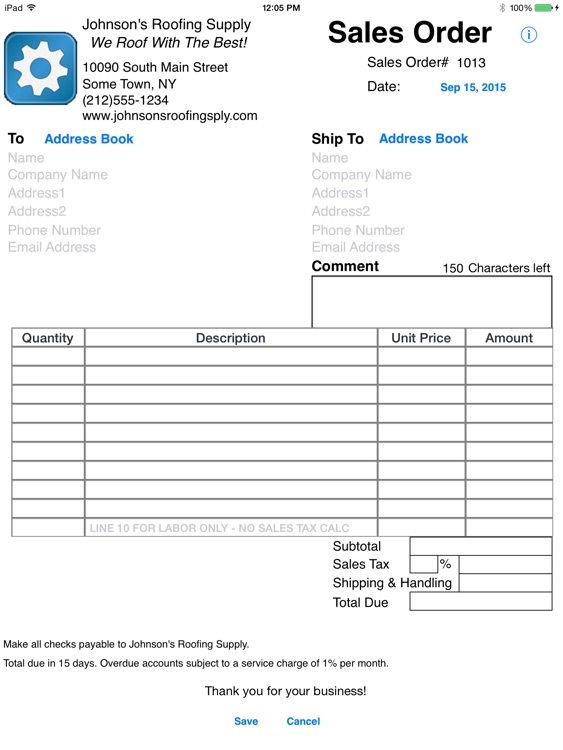 Next, fill out the quantity, description, and unit price. Simple Sales Order will calculate the subtotal. Finally fill out the sales tax percentage and any shipping and handling charges. If you do not have any of these charges you should enter in a zero for “Sales Tax” and a zero for “Shipping & Handling”. When your sales order is complete, you tap on save. 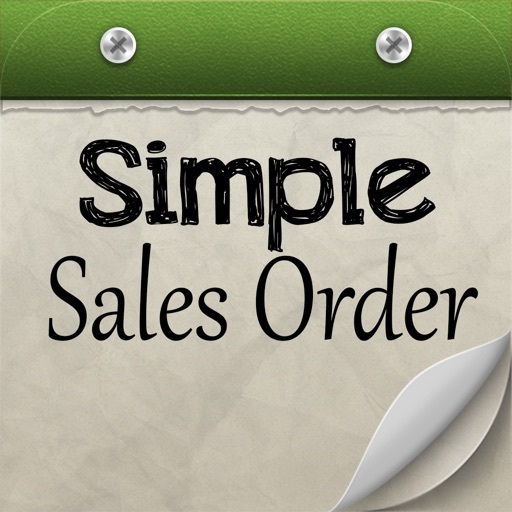 At this point if you like to, you can e-mail a copy of the sales order that was created so your customer will have a digital copy. No more misunderstandings due to bad handwriting! Once you have more than one sales order, you can conveniently scroll between orders using the "Next" and "Previous" buttons. 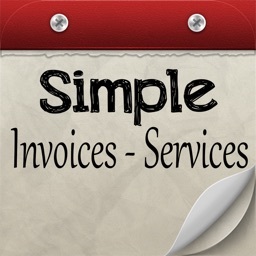 These buttons will not function if you are in the middle of creating an invoice or editing an existing invoice. 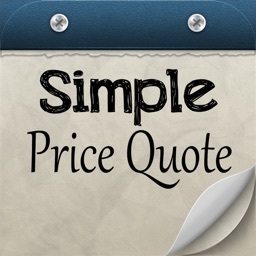 NOTE: YOU CANNOT EDIT THE BASIC FORM OF THE SALES ORDER ITSELF, the words quantity, description, and unit price cannot be changed.